Team: Let one plus one are equals three ... great minds generate great ideas; avoid pitfalls by learning from the best. Knowledge: People with a broad multidisciplinary knowledge have great opportunities to create a superior strategy, plans and innovation. Strategy: Develop a deep understanding of quality systems, qualified suppliers, train staff and monitor staff performance - improvements based on feedback from internal and external audits. Execution: Time of occurrence in the market can sometimes go in our favor, the other 100% success make swivel, highly efficient and employees focused on the job at all levels. Desire: Passion to win, no matter what the obstacles. MSc in chemistry with many years (over 20 years) professional interests in the implementation of quality systems, technology transfer (transfer quality procedures, methods and equipment), qualification of suppliers (selection and qualification of suppliers of raw materials), development of product quality (optimization of efficient production, development and validation analytical methods), statistical process control (trend analysis) and scientific experience in the field of free radical chemistry, kinetics of free-radical reactions, drug interactions with trace elements in systems of various levels of complexity. Author and co-author of several scientific papers in the world's most famous magazines. Author Module 2 Quality Overall Summary for several drug company Habit Pharm. Author Site Master File for the same company. Consultant activities for forming and startup laboratories. In charge of organizing the work of quality assurance, quality control and Development and validation. Participation in external GMP inspection / quality control. Responsible for the development of validation master plan, the planning and monitoring of validation activities with the development of supporting documentation quality assurance system. Teaching chemistry at teaching plans and programs. The development and improvement of the quality in the production of closures for pharmaceutical industry (push on cap, aluminum closures). Consideration of all aspects of pharmaceutical packaging, from the technical (compatibility and stability, influence the quality of the packaging process) to regulators. Chemicals food. Chemical (lipid oxidation), physical (dehydration) and microbiological food protection. Development of methods for the synthesis and opeme additives. Formulation of complex mixtures of additives. The development of analytical methods for the qualitative and quantitative determination of additives. The development of new methods for the synthesis of pure chemicals. Reaction mechanisms of biologically active compounds with bioelement in heterogeneous systems. The kinetics and mechanism of the reaction protolytes biologically active functional groups with metals in micellar systems (techniques liquid chromatography (HPLC), UV and IR spectroscopy, GS MS, stopped flow). Determination protolytes constants antibiotics. The interaction of antibiotics with other drugs in parallel during therapy, as well as essential elements in serum (Fe, Cu, Pd, Mg). Free-radical reactions. The mechanism of oxidation kinetics and mechanism of action of antioxidants in natural and artificial systems of various levels of complexity. Techniques impulse, g-radiolysis and flash photolysis to generate and study of free radical reactions. Isolation and characterization of natural antioxidants from plants (flavones and flavonoids). Organic synthesis of new antioxidants. Immuno Chemistry and immune response. Isolation and characterization of human immunoglobulin. Immunoelectrophoresis techniques and radio immuno assay. Blogging (http://griffonvulturepharma.blogspot.com/), literature, history, sport (chess). V.M. Vasić, M.S. Tošić, T. Jovanović, Lj.S. Vujisić, J.M. 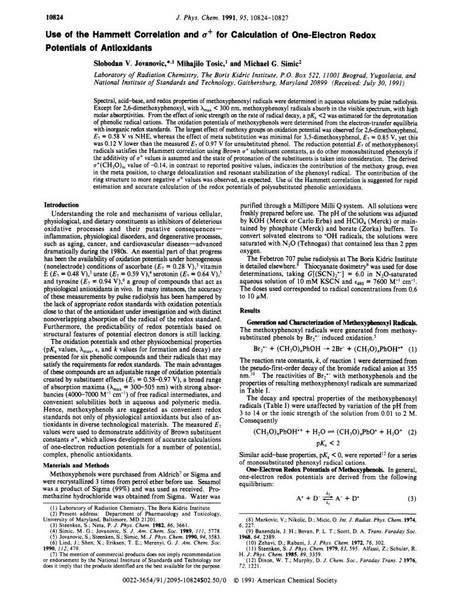 Nedeljković, “Kinetics of chelate formation between PdII and S-carboxymethyl-L-cysteine”, Polyhedron, 17, 399-403 (1998). M.S. Tošić, V.M. Vasić, J.M. Nedeljković, Lj.A. Ilić, “Influence of sodium dodecyl sulfate micelles on the kinetics of complex formation between Pd(H2O)42+ and glutathione”, Polyhedron, 16, 1157-1160 (1997). V.M., Vasić, M.S., Tošić, J. M., Nedeljković, “ Influence of sodium dodecyl sulfate micelles on the kinetics of complex formation betweenPd(H2O)42+ and S-carboxymethyl- L-cysteine”J. Phys. Org. Chem. 9, 398-402 (1996). V.M. Vasić, M.S..Tošić,J.M. Nedeljković, Lj.Vujsić, “ Kinetics of Chelate Formation between Pd (H2O)42+ and S-carboxymethy-L-cysteine”, 5TH Symposium on Kinetics and Analitical Chemistry KAC95, 25-29 september, 1995, Moscow, Russian. V.M.Vasić,M.S.Tošić,J. M. Nedeljković,“ Influence of Sodium Dodecyl Sulfate Micelles on the Kinetics of Complex Formation BetweenPd(H2O)42+ and S-carboxymethyl- L - cysteine”5TH European Symposium on Organic Reactivity, Santiago de Compostela, Spain, July 16 - 21, Book of Abstracts, page 140, 1995. S.V.Jovanović, S. Steenken, M. Tošić, B.Marjanović, M.G.Simić, “ Flavonoids as Antioxidants”,J. Am. Chem. Soc., 116, 4846 - 4851 (1994). S.V.Jovanović,M.Tošić,B. Marjanović, “To study the antioxidant capacity of the ginkgo extract EGb 761 "XXXV Meeting of the Serbian Chemical Society, Belgrade, Yugoslavia, January 18 - 20, abstract book, page 125, in 1993. 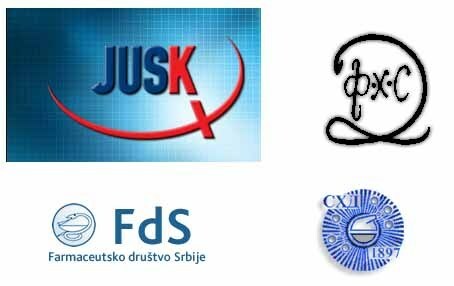 S.V.Jovanović,M.Tošić, B. Marjanović, M. Gologović - Kolb,S. Arsenijević,“Dimetoksifenol kao antioksidans za mineralna ulja”, GALAX 93, Kopaonik, Jugoslavija, Maj 26 - 29, Zbornik radova, strana 67, 1993. M. Tošić, S. Milojković, M.G. Simić, S.V. Jovanović,“ Dimerizacija guanilovih radikala”, I Savetovanje Društva fizikohemičara Srbije, Beograd, Jugoslavija, Oktobar 7 - 9, Knjiga apstrakata, strana 182, 1992. M. Tošić,S.V .Jovanović,“ Sinteza i antioksidativne osobine 4-vinil-2,6-dimetoksifenola”, XXXIV Savetovanje srpskog hemijskog društva, Beograd, Jugoslavija, Januar 16 - 17, Knjiga apstrakata, strana 65, 1992. S.V. Jovanović,M.Tošić, M.G. Simić,“Use of the Hammett Correlation for Calculation of One-Electron Redox Potentials of Antioxidants with σ+ ”,J. Phys. Chem., 95, 10824-10827 (1991). S.V. Jovanović,M. Tošić, M.G. Simić, "Reakcije cikloheksilperoksi radikala sa derivatima fenola", XXXI Savetovanje srpskog hemijskog društva, Beograd, Jugoslavija, Januar 18 - 20, Knjiga apstrakata, strana 66, 1989. - „DRcaps® Capsules - The preferred choice for delivery of probiotics and acid sensitive ingredients“, Capsulgel, 2013. - Powder Stability with Water Activity, 28.05.2013. - Reference materials and standards: Certificates of analysis 23.05.2013. - A Quality by Design Approach for Stability Testing, 26.03.2013. - The specifics of pharmacopoeial reference standards, 21.03.2013.